ISTE Professional Centre, Room No. ISTE Professional Centre, Room No. 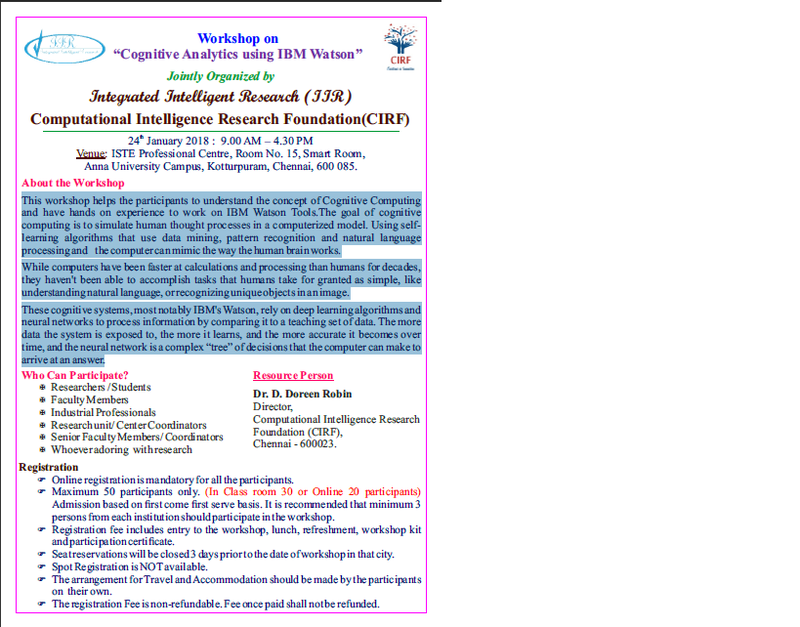 15, Smart Room, Anna University Campus, Kotturpuram, Chennai, 600 085.
processing and the computer can mimic the way the human brain works. understanding natural language, or recognizing unique objects in an image.